As a homeowner, you undoubtedly want to protect your home from invaders, such as wildlife. You wouldn’t (and shouldn’t) be expected to let a person wander into your home, lay down his own belongings, and begin to treat your home as his own. Nor should you allow the same thing to happen just because that something happens to be wildlife. Yet there are certain things that every homeowner should know when it comes to small wildlife that decides to make your home their own. The first, and possibly most important, thing to know is that there are options for getting rid of these pesky pests beside extermination. In fact, exterminators can actually create a greater mess, and more damage, to your home than by you not doing anything at all. How is this possible? While this article isn’t meant to condone or condemn any other business or ideology, it is intended to share with you some important information about these unwanted animals living in your home. Yes, there are many qualified exterminators who can come in and get rid of the pests. What they may not tell you is that some could die in the walls of your home, requiring you to endure the rotting stench for weeks, or even months, or to cut open your walls to remove them. There’s also the droppings or, in the case of bats, guano that will still be left behind even when the animals are killed. These ‘leavings’ can cause long-term health problems from children as well as adults. But there is another option and even if you are struggling to make ends meet during this economy, it’s an option that has positive results. It’s called exclusion using the Batcone. The Batcone DVD provides basic bat-proofing techniques as well as most effective cone installation methods. Excluding animals from your home is a process in which a specially designed cone, known as the Batcone is placed in locations throughout the home where the bats or other animals are entering and exiting. It is basically a one way door and allows the animals to leave but won’t allow them to get back into the home. Yet as simple as it sounds, there is a process to the exclusion that one should be familiar with before taking on this venture in order to ensure its success. There are also things, such as what is left behind by the animals that should be dealt with, even though it is something many homeowners would prefer to ignore. 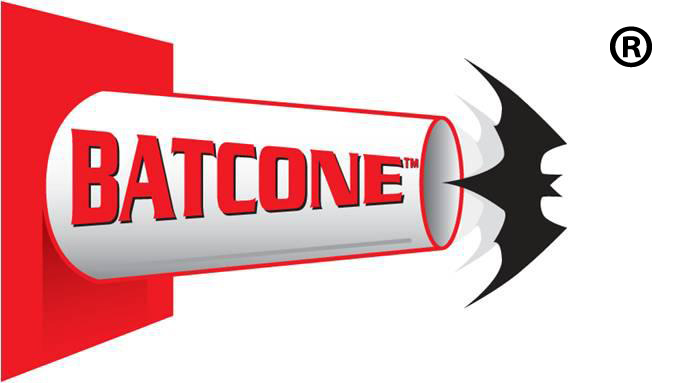 The entire process of exclusion using the Batcone system is simple and environmentally friendly, and if you are a homeowner or small business owner who is ready to learn more about this important topic, then the Batcone DVD has all the information that you would need in one place. Don’t let another day go by listening to the patter of small animals in your attic keep you up at night, worrying about the damage they could be inflicting on your home. 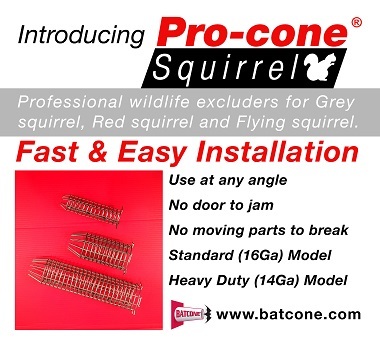 Take charge and find out just how well the Batcone can work for you.